Amsterdam 1654: a dangerous secret threatens to destroy a young widow's new life. Following the sudden death of her husband, 25-year-old Catrin leaves her small village and takes a job as housekeeper to the successful Van Nulandt merchant family. Amsterdam is a city at the peak of its powers: science and art are flourishing, and Dutch ships bring back exotic riches from the Far East. When a figure from her past threatens her new life, Catrin flees to Delft. There, her painting talent earns her a chance as a pottery painter. Slowly the workshop begins to develop a new type of pottery to rival the coveted Chinese porcelain - and Delft Blue is born. But when tragedy strikes, Catrin has a hard choice to make. 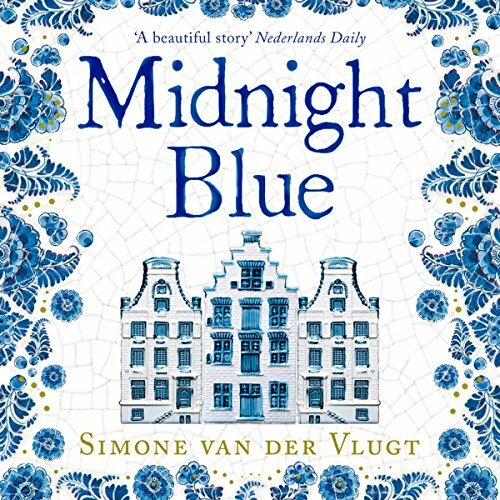 Rich and engrossing, Midnight Blue is perfect for fans of Tulip Fever and Girl with a Pearl Earring. Predictable towards the end, but still enjoyable, relaxed listening experience. Especially nice if you have ever been to Delft and can visualize the setting.